LingoBrain – Spanish is both a game for Android smartphones and tablets, which helps you learn the vocabulary of the Spanish language, as well being an (offline) dictionary with over 7000 words. 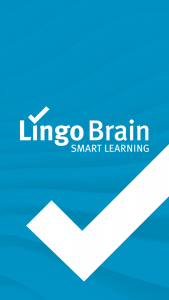 LingoBrain is both a game which helps you learn the vocabulary of the Spanish language, as well being an offline English – Spanish dictionary with over 7000 words. • Train and build your vocabulary using multiple choice questions. • Unique machine learning algorithms enable LingoBrain to learn as you play, and target your personal weaknesses to specifically improve them. The more often you play the better LingoBrain gets to know you, and the more effectively it can help you learn. • Waiting at a bus stop, or at the doctor’s office? How about comfortably learning 5 new Spanish words while you wait? • No tedious typing or superfluous clicking around. • Create a list of personal favourite words. • 7000 Spanish – English terms sorted into 4 difficulty levels (Easy, Middle, Hard & Expert) based on how often they’re used by native speakers, and thus how important. • Search/Filter for any word in the lists. • Offline (no internet connection required) German-English dictionary with over 6000 words. • Dynamically show/hide example sentences. • Sort lists as desired (based on last answer, rating, alphabetically, favourite etc.). • Train your passive and active vocabulary. Dynamically switch the language from which questions are chosen (and thereby the language from which the correct answer must be chosen). 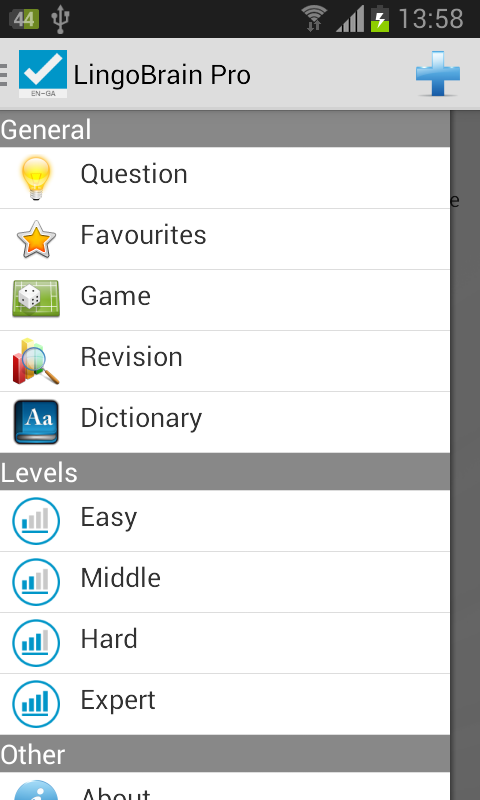 No more need to use flashcards or scribble on vocabulary lists. Let LingoBrain do the organisation and keep score for you on your smartphone or tablet, whenever and wherever you have a few moments to spare. Start with the Easy Level and work your way up. Stop after you’ve gotten about 10 questions wrong. Review the correct answers if you wish. Then replay the game and LingoBrain will automatically ask you those questions first you got wrong (most often). Mark any questions as favourites as you play. 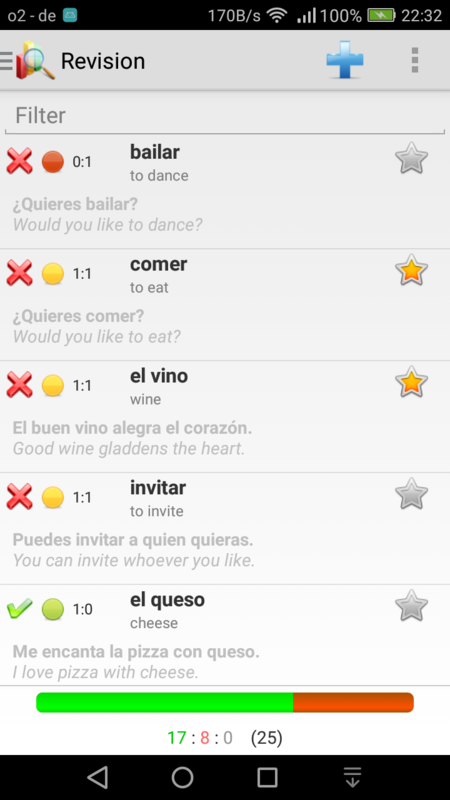 Learn Spanish the clever way and train your Lingo Brain. Note: This app is free and fully functional, but only comes with a limited number of questions installed by default – enough so that you can try it out and see if you like it. If you want more questions you can purchase Level Packs within the game.